A new trailer has dropped today for the Sony’s upcoming Spider-Man game. It is a continuation of the J. Jonah Jameson call in show ‘Just the Facts’ that featured in last week’s trailer. The trailer begins with Peter calling back into the show to try and discredit some of Jameson’s accusations about Spider-Man, but doing so under the false name Ben Reily. Those of you that are Spider-Man fans will appreciate this nod to the Peter Parker clone that went on to become the Scarlet Spider. Which was confirmed in last weeks trailer to be a wearable costume in the game. Now I don’t think this means Ben will be in the game but it is a nice nod to his character. Peter defends the actions of Spidey stating he’s never seen Manhattan so peaceful since spider-man arrived. To which, in true Jameson style, he denies. Before mentioning the Shocker, Vulture, Electro, Scorpion and “that Rhino guy” are still menacing the town and reconfirms the setup of this story by mentioning again that Wilson Fisk had this town’s villains in order. 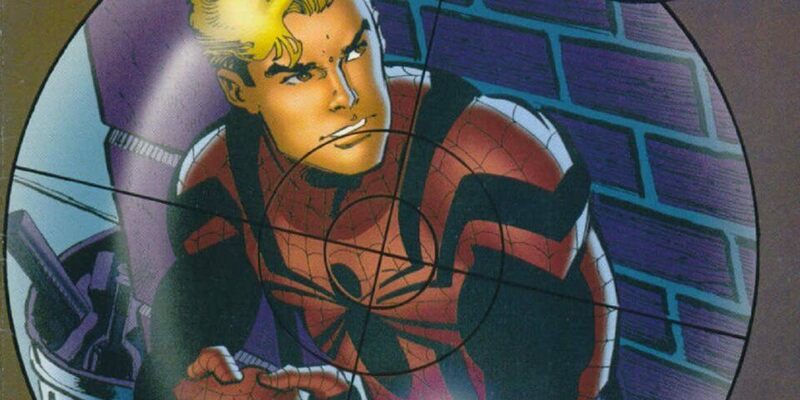 Jameson states that everyone that Spider-Man crosses paths with finds themselves in the line of fire and that it’s impossiblefor his worlds not to collide. As we know this will be a Peter Parker story just as much as a Spider-Man game It doesn’t take too much of an imaginative stretch to realise we’re probably going to be rescuing family or friends in this game at some point or may even have to deal with some big consequences of being Spider-Man. The end off the trailer sets up the Sable International task force for the game and shows that they are the force called in, likely by Mayor Norman Osborn to assist the police in restoring order to the city and take down Spider-Man, who everyone seems to have painted as a menace. One line in particular Jameson speaks towards the end of the trailer when he mentions “Fine upstanding citizen” shows Norman Osborn on screen. People familiar with the Spider-Man story know that he is generally far from that and could be hinting at a bigger plot involving Osborn in the game. I guess we’ll find out soon enough when the game launches in just a couple of weeks on September 7th. You can view the new Spider-Man Relationships trailer below.